The aircraft was established on an ILS approach [but] at about 1,500 ft aal, the commander’s Flight Management Guidance Computer (FMGC)1 failed. The crew were unable to alter the target approach speed, and the engines began to spool up un-commanded. The pilot flying disconnected the autopilot and autothrust and the rest of the approach was flown manually. Below 50 ft the pitch attitude of the aircraft was reduced slightly just before the aircraft was flared for landing, and it touched down heavily in a relatively flat attitude. 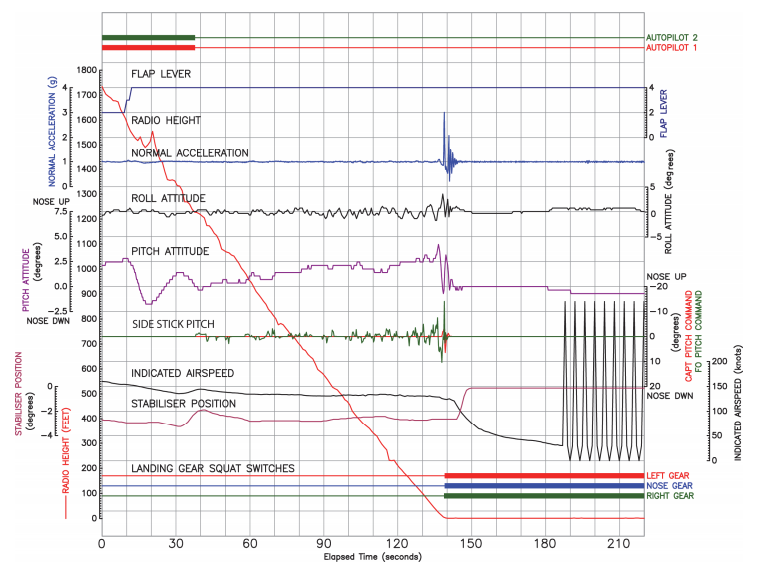 The normal acceleration recorded at touchdown was 3.01 g [and 11.9 ft/sec], which is classified as a Severe Hard Landing. The aircraft was inspected for a Severe Hard Landing as required by the manufacturer’s Aircraft Maintenance Manual. 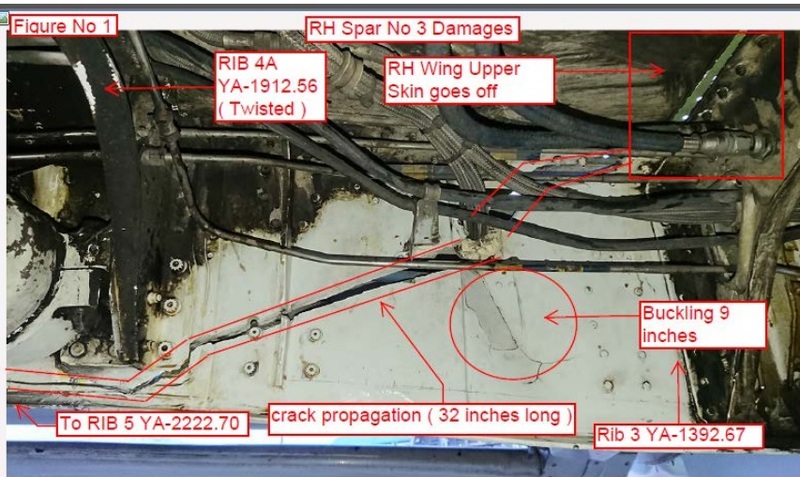 This inspection revealed damage to the nose landing gear and the right main landing gear as well as some cracking of the paint and sealant in the nose gear bay and avionics bay. …revealed that both the nose landing gear and the right main landing gear had suffered excessive loads during the landing and could not be returned to a serviceable condition. The nose landing gear shock-absorber cylinder was found buckled (below) with the barrel and forestay lower arm pin found to be out of tolerance. The right main landing gear sliding tube and shock-absorber were also found to be outside acceptable tolerances when measured. …neither pilot realised that the aircraft was in the incorrect attitude for landing until it was too late to take corrective action. It is possible that distractions and high workload during the approach contributed to the nose-down pitch input being made immediately before touchdown. Due to the absence of maintenance support at the Fuerteventura airport and, in the absence of a criterion on the meaning of landing report code ‘Hard’, the crew decided to make the return flight to Dusseldorf. Consequently in their final report the CIAIAC (Investigación de accidentes e incidentes de aviación civil) recommend that Germania “improve the aptitude of its MOC personnel to ensure they provide correct support so that safe decisions are made in every aerodrome at all hours of operation”. UPDATE 14 April 2018: Air Mandalay Embraer ERJ-145 XY-ALE was damaged after a heavy landing during an unstabilised approach on 18 Sept 2017. the First Officer did a walkaround but did not spot the damage so the aircraft flew 2 more sectors before an engineer found the damage, according to the Aircraft Accident Investigation Bureau (AAIB) of Myanmar report. 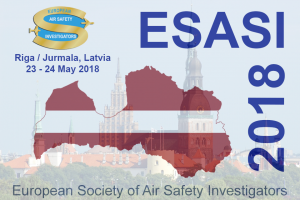 UPDATE 2 May 2018: Flight Data Services discuss the analysis of hard landing FDM data. …buckling of the skin below the windows on the right fuselage [and] the right main landing gear during the second touchdown exceeded its ultimate design criteria, which resulted in failure of the orifice support tube during the in-stroke. Once the orifice support tube failed, shock strut damping was effectively lost, thereby generating significant bottoming loads. Neither the aircraft manufacturer nor Jazz provide the flight crew with a definition of a hard landing or criteria to determine what a hard landing is. Pilots are expected to rely on their personal experience to make such a determination. In some cases, operational pressures may influence this assessment. conducting a review of flight data analysis practices and effectiveness as they relate to preventing a departure when the aircraft’s airworthiness is concerned.